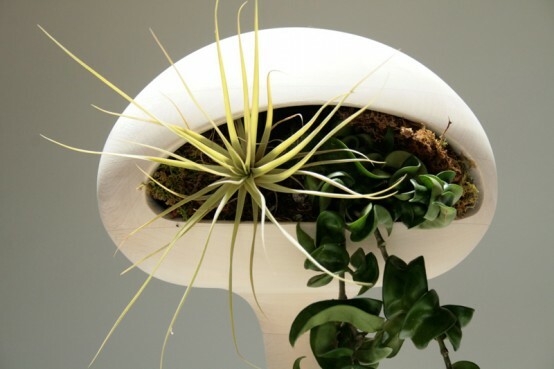 This plant pods are designed by Tend in collaboration with Jason Lane of Bells & Whistles. Golly ponds are more like living sculptures than just a place to stick plants.Golly pods are unique crafted planters that are made either of wood or ceramic. The planters are still in concept but looks like they will be ready to mass production very soon. The pods feature mostly succulent plants so they won’t need a lot of maintenance. If you enjoy succulent floral arraignments and like unusual futuristic design then you should check Tend’s blog constantly in order not to miss the release date.